Great work, done on time. Would highly recommend to family and friends. Alex is a true master of his trade and had the project covered start to finish. Thank you Alex for an amazing kitchen! Alex was an absolute pleasure to work with. He was fast, efficient & clean. I recommend him to everyone I know. He was very detailed oriented. Not your typical contractor. He listened to what I wanted and we designed from there. He had tons of experience of where things should go to make the most out of your kitchen. Put it all in within the day. THANK YOU!!!! We've had about a dozen different trades people into our home during our renovations, and none were more pleasant, responsible, conscientious, thorough and efficient than Alexander. My DH said "I wish we had an Alexander for everything". I especially liked how he kept his work space clean and tidy, how every tool and piece of equipment was neatly organized and that he brought his own healthy lunch to eat. Those probably don't seem important or even relevant, but I felt it was an extension of the care he takes with everything. There wasn't one aspect of the work he did over the two days that wasn't superb. We decided on new kitchen cabinets from IKEA, and were referred to their "installer'. They have a four- page contract to sign which guaranteed that, among everything else, their installers would have parking and washroom facilities. But what stopped us was that they wanted full payment two days before the work commenced. We would gladly give a small deposit but full payment, no chance. 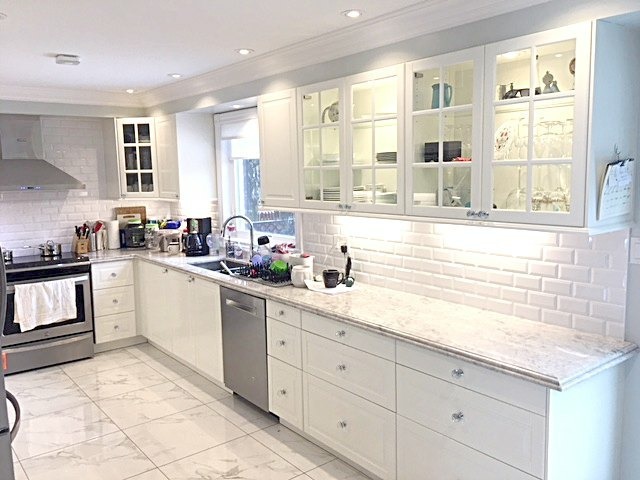 Found KitchenInstallation.ca and threw emails which included the part #s of the cabinets and pictures of the kitchen, we arranged a start date. Alexander arrived on time and the job was on. 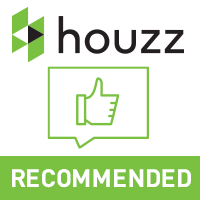 We were impressed with his skill and knowledge, in the end, an absolutely a first class installation. 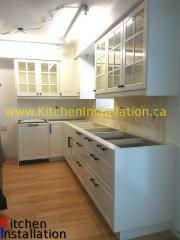 We would not hesitate to recommend Alexander and KitchenInstallation.ca to friends and family. Oh and by the way, he saved us a tidy bit of cash compared to the competition. KitchenInstallation.ca did a fantastic job installing two kitchens in my basement apartments. I was pressured for time and they immediately accommodated me. They came exactly when they said they would and finished when they said they would. They were professional and extremely neat and tidy. I will definitely use them again and highly recommend them! 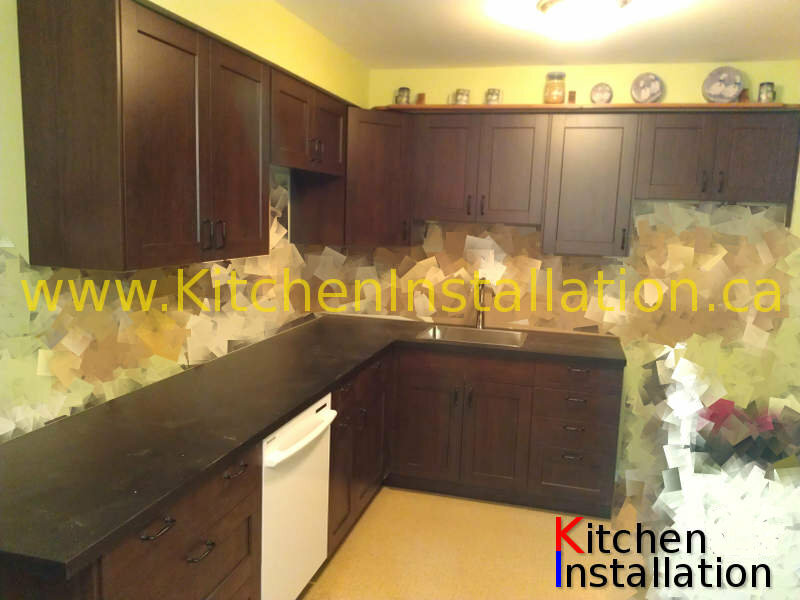 I hired IKEA Kitchen Installation to install my Ikea Kitchen. Alex did a wonderful job installing the kitchen and were very pleasant to work with. He came up with a couple of great ideas to improve our kitchen and the installation was great and smooth. it took days and they stayed late to complete it and ensuring that all doors and hinges worked and installed all the hardware. I was in fact so happy with the kitchen installation that I hired them again to install my living room wall unit as well as installing my hood vent. Again the service was excellent. I will hire them again in the future for other jobs. Got them to install an Ikea kitchen cabinet set. They were able to book quickly, did a great job and did some extras such as installing my dishwasher at no extra charge. They did it all in 1 day, even though it was a 14 hour day, 9am to 11pm. Most places would book 2 days of work. They were about $1000 less than Ikea's recommended installers and were willing to do more.